Medvedev approves amendments to law on public procurement | Russian Legal Information Agency (RAPSI). Moscow, April 21 – RAPSI. Russian President Dmitry Medvedev has adopted the Federal Law “On Amendments to the Federal Law ‘On the Placement of Orders to Supply Goods and Render Services for State and Municipal Needs,” the Kremlin Press Service announced. The lower house of the Russian parliament passed the law on April 11, while the upper house approved it on April 13. Last November, Medvedev criticized the present law. He stressed that inappropriate expenses on public procurement, including embezzlement and “kickbacks,” stand at over 1 trillion rubles per year. Under the amendments to the law, a customer must justify the initial contract price in the trade documents and refer to the sources of the prices on the goods, works or services specified in the contract. Under the amendments, a customer may also define the contract obligations. When a machinery supply or equipment order is placed with an initial contract price of 50 million rubles or more, or when a medical equipment order is placed with any price, the customer must set conditions to have the contract obligations secured by the manufacturers and suppliers providing their warranties. The supplier warranty must be secured in the amount of two to 10 percent of the initial contract price. Another amendment allows for conducting a closed tender (its participants must have access to state secrets) for a contract on the insurance, transportation or security of valuables belonging to the State Fund of Precious Metals and Stones, museum exhibits, collections, rare and valuable print editions. 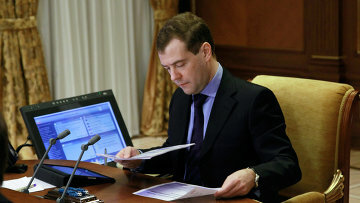 17:02 21/04/2011 Last November, Medvedev criticized the present law on public procurement. He stressed that inappropriate expenses, including embezzlement and “kickbacks,” stand at over 1 trillion rubles per year.